Q: Who returns from the previous movie? 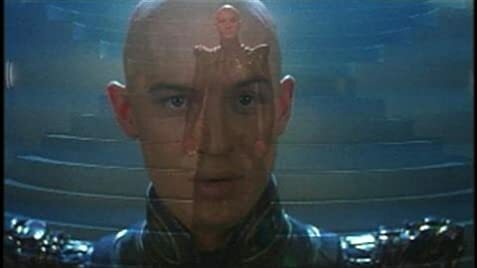 This movie is one big lost opportunity. The budgets for the films just get bigger and bigger, and the plots just get worse and worse. When I saw Insurrection, I thought it was a decent movie but certainly a huge drop from First Contact. I simply assumed that the next film would be better, as has been the pattern with Star Trek films. Now after seeing Nemesis, Insurrection is magnificent by comparison. The problem with this film is there's no passion, and it shows in the whole production. The writer-director team seem to have aimed very, very low. The filmmakers were just trying to make a little self-enclosed film without any substance. The most potential is at the end of a saga, where you can put anything and everything at stake. Instead, the writer just rewrote Star Trek II: The Wrath of Khan for the TNG cast, and by his own admission to boot! The people who currently control the franchise have no interest in creating a bold, emotional or epic story. At this point, they are mindlessly cranking out material simply to continue the franchise. 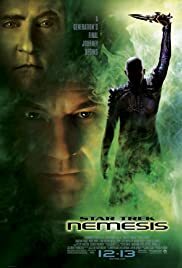 Anyone who has been following the TNG series could have come up with a better way to wrap up the entire TNG saga that beats the pants off of this sorry excuse for a film. But it looks like that will never happen, as it has been quietly mentioned that this will be the last TNG movie. A horrible shame, as the plot threads remain open, and could easily be closed in an epic and meaningful way. 75 of 147 people found this review helpful. Was this review helpful to you?